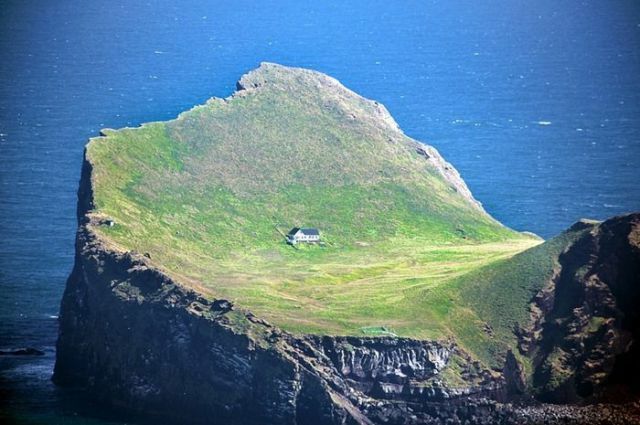 This is a very lonely house indeed. 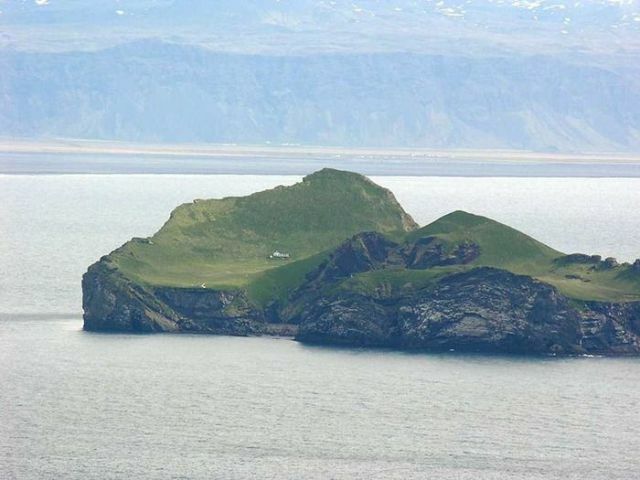 In fact it is the only house on an island. The island isn’t all that big but appears to be a good distance from any mainland. This is the place to live if a person likes a lot of quiet solitude. The wind must be howling in this area. <<<Oh, and what the hell is this crap imposed picture stuff? 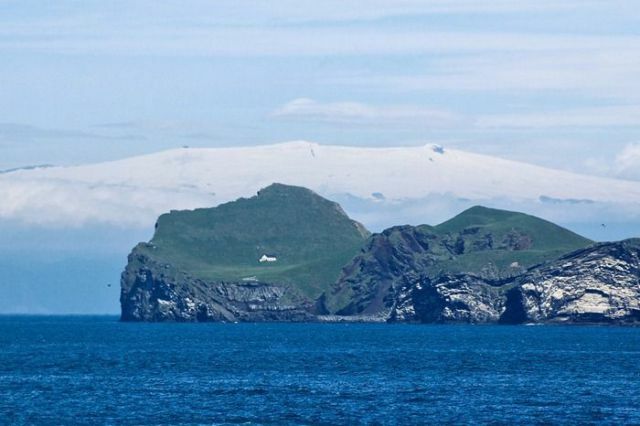 Elliðaey, see on google maps. seems not to be photoshopped but who knows? NO photoshop at all !!! 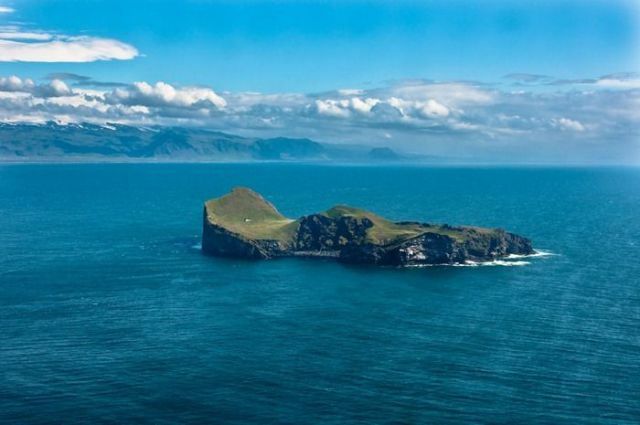 This enchanting house is located on an island called Elliðaey near Vestmannaeyjar, a small archipelago off the south coast of Iceland. 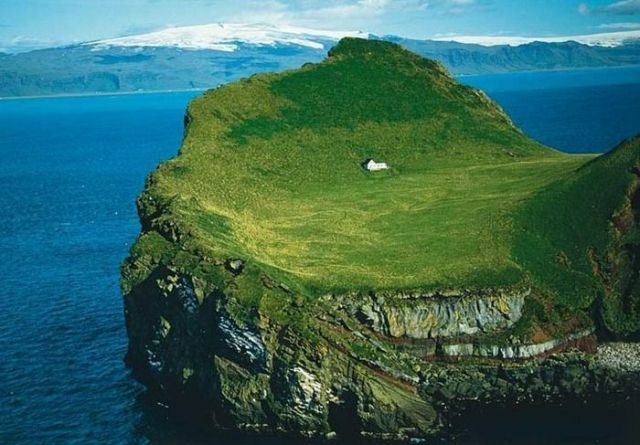 The house was given to singer, Bjork from her motherland as a “Thank You” for putting Iceland on the international map. What I'd give to be left alone like that.